Thank you for joining us for our 7th Birthday Challenge and we hope you will join in with our new theme! We will be back soon with the names of 7 lucky winners of the $50 Vouchers!! 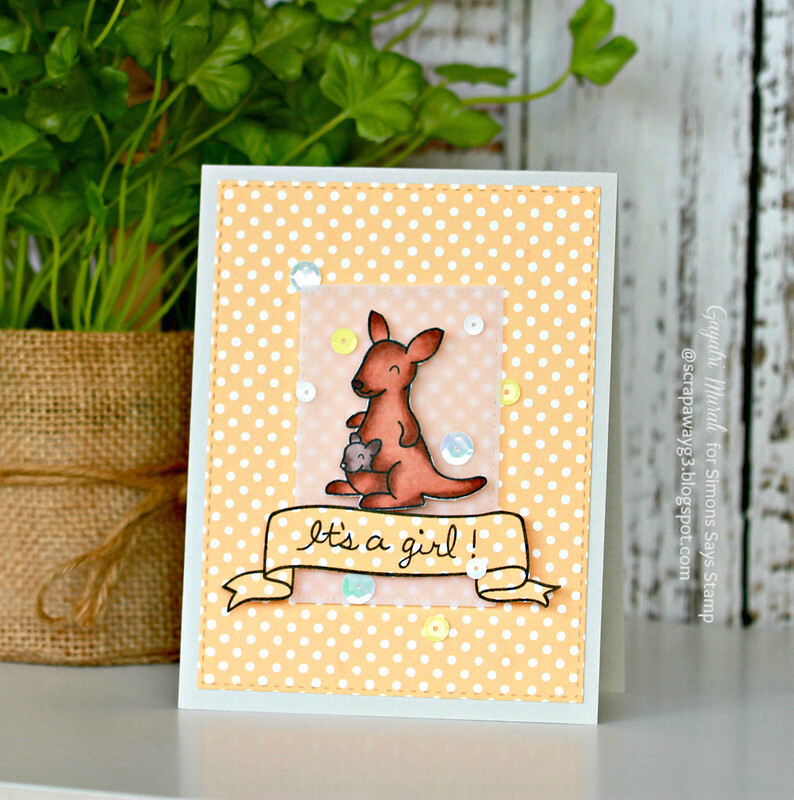 We are showcasing LAWN FAWN PRODUCTS this week. You don’t have to use them to join in with the challenge, but if you have them we would love to see them used! 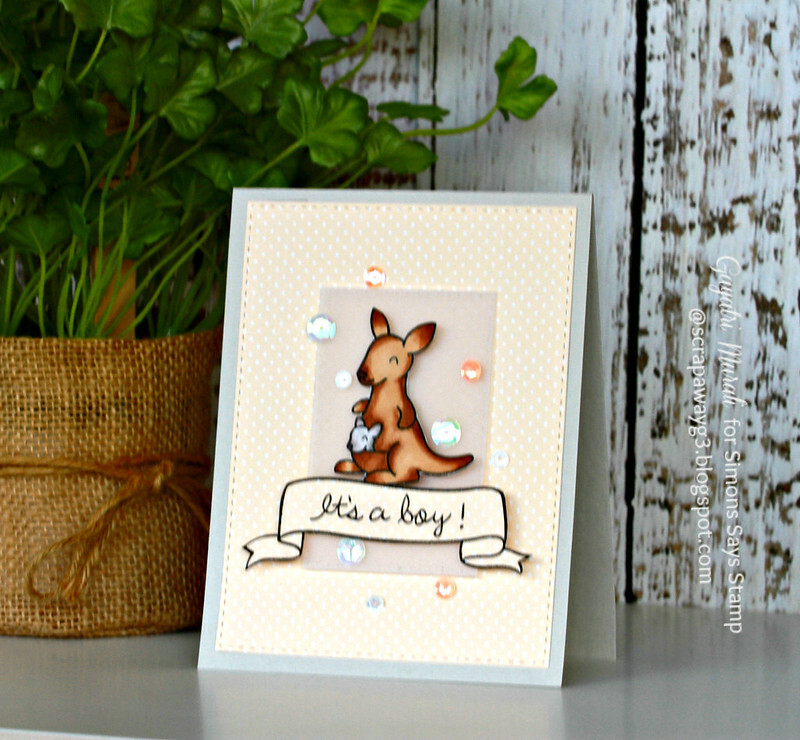 Well, I made a set of cards for this challenge as I got carried away with Lawn Fawn’s Let’s Polka Mon Amie pattern paper. So this post has lots of photos. 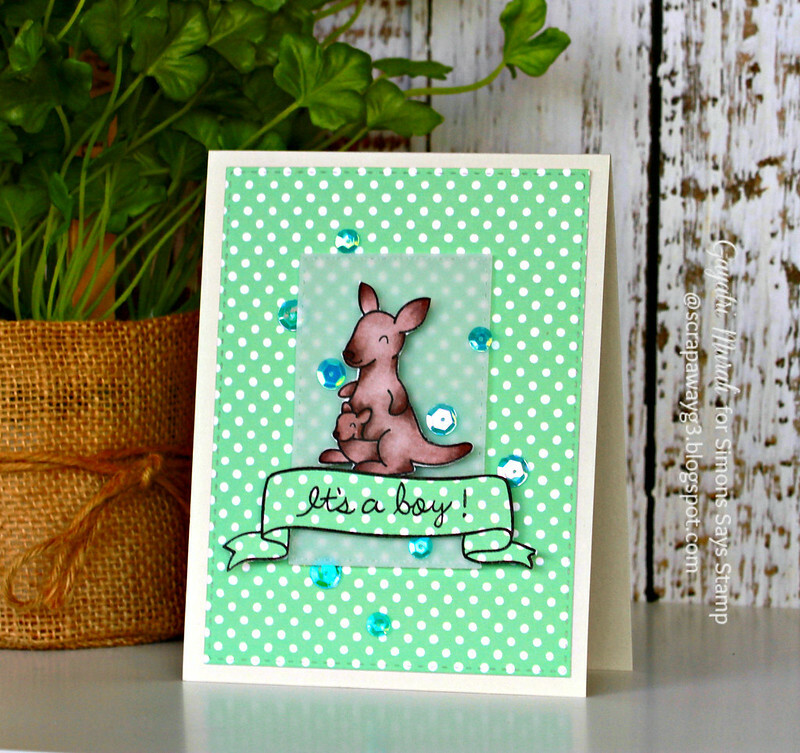 I have used the Let’s Polka Mon Amie pattern paper on all the cards which I die cut using Stitched Rectangle die from Simon Says Stamp. 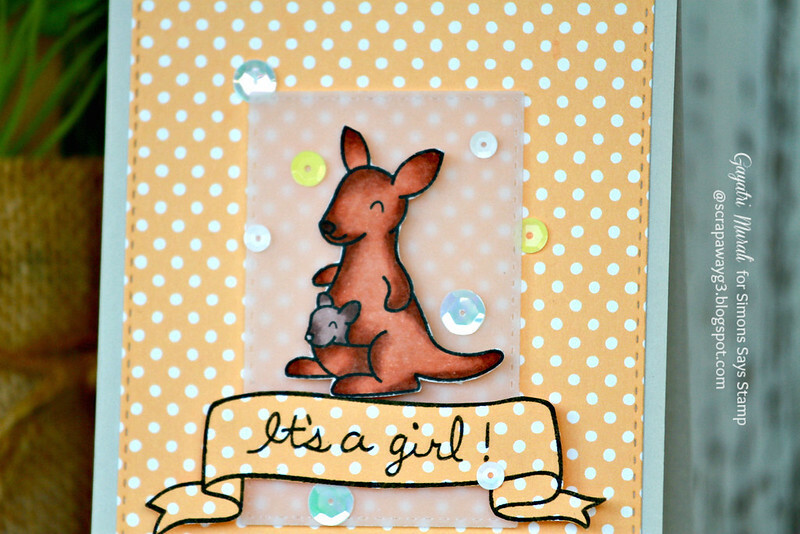 I also used the leftover pattern paper to stamp the banner and sentiment. I hand cut them all the banners. 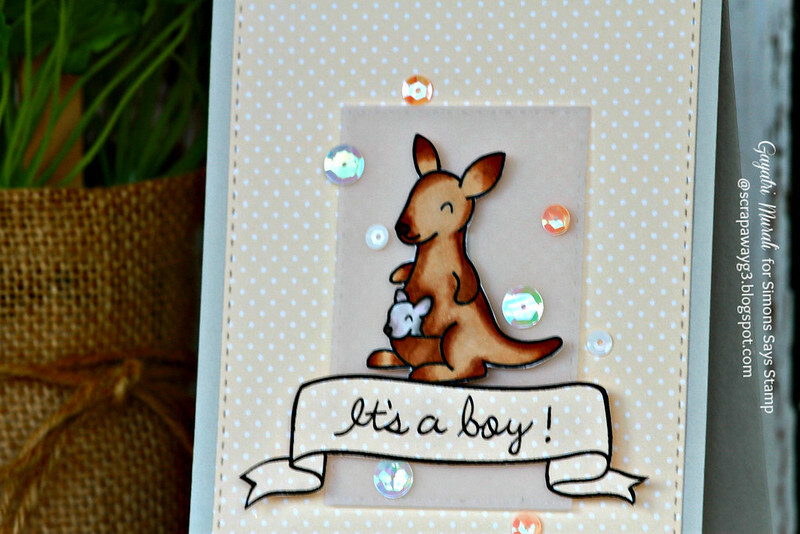 The focal point image the Kangaroo is from Critters Down Under stamp set. I stamped and copic coloured them all and hand cut them all out. To make the image stand out, I adhered them on a stitched rectangle vellum panel with the sentiment banner below the focal image. Finally embellished with sequins from Little Things by Lucy. Here are the closeups. 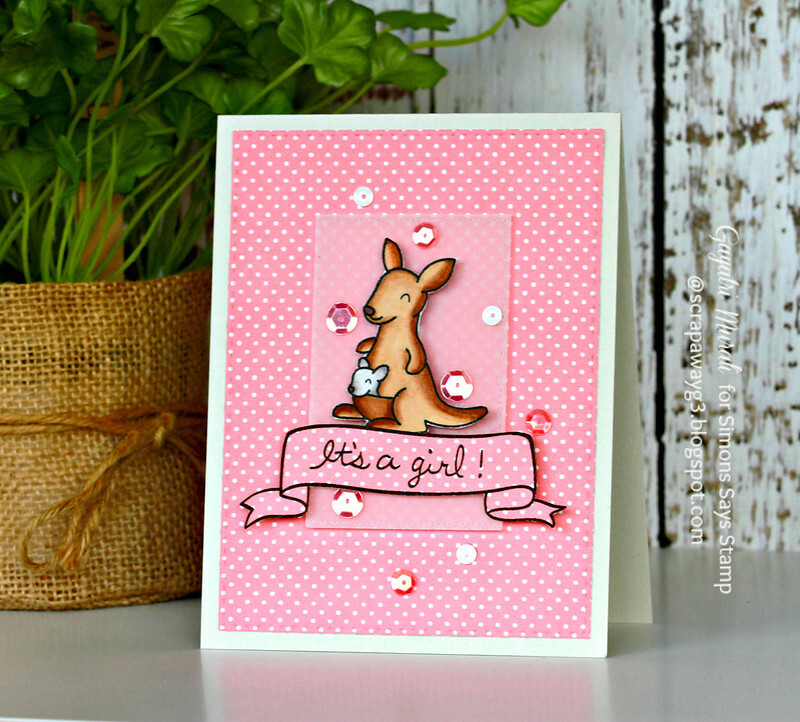 What beautiful card Gayatri, beautiful Lawn Fawn along with duper colours and such a super set of the colours!! 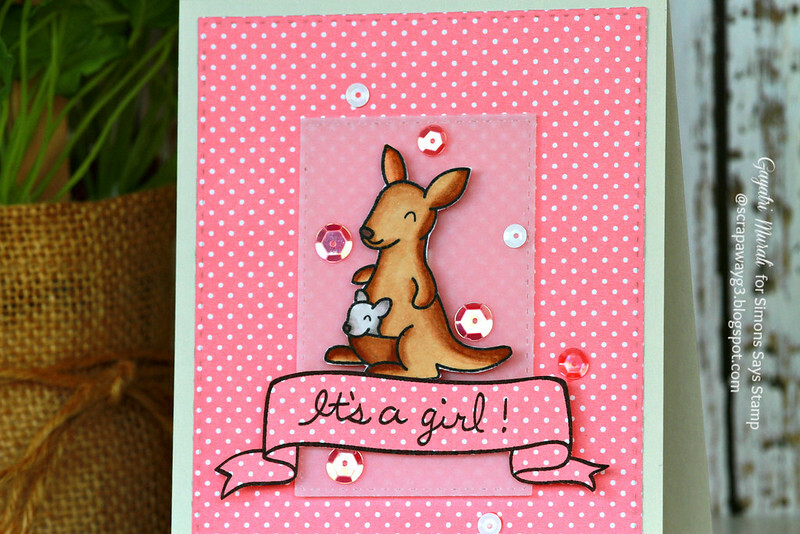 You and I had the same basic idea this week, Gayatri, and I adore what you did! 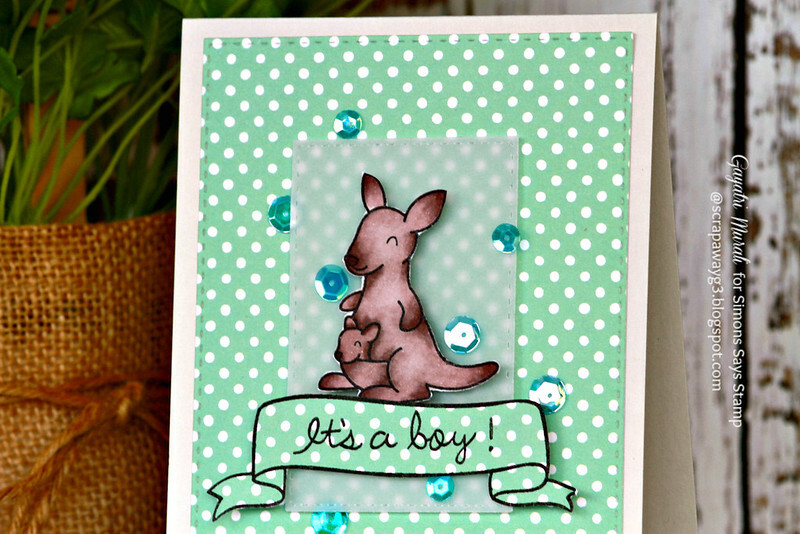 There you go with that vellum again – love how you use it! Love these! I'm in awe of your color choices and sequins! way too cute Gayatri. Love everyone of them! Super sweet, Gayatri I so need to take a lesson from you and duplicate once in awhile.